Jade has two two deck high atriums. The forward one is more traditional recalling the art deco ocean liners. The larger main atrium is dominated by a large video screen. Norwegian Jade is a medium size cruise ship of Norwegian Cruise Line's Jewel class. Her sisters are Norwegian Jewel, Norwegian Pearl and Norwegian Gem. She is similar to Norwegian Dawn and Norwegian Star. 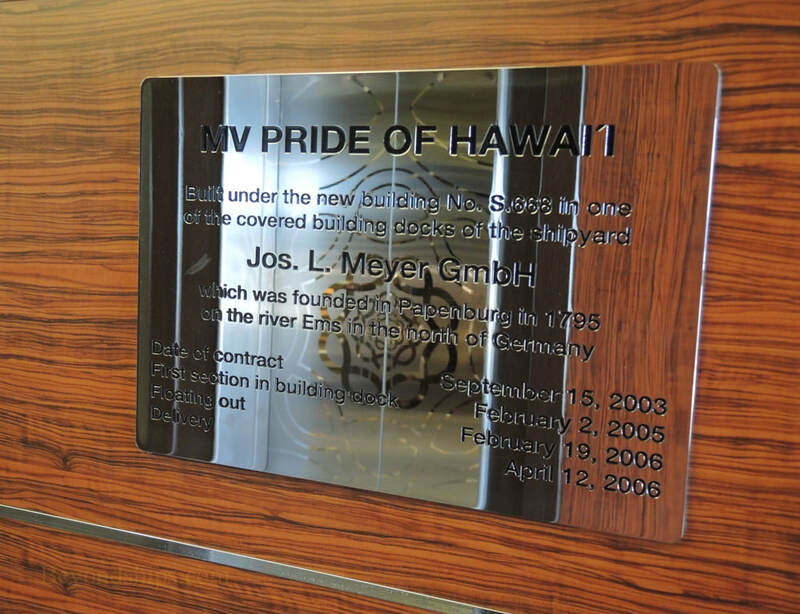 The Jade began life as the Pride of Hawaii for Norwegian's NCL America brand. As part of that project, her first two years were spent doing cruises around Hawaii. When that concept failed to reach the goals Norwegian had set for the project, the ship was brought into the main Norwegian fleet in 2008. Renamed Norwegian Jade, she then spent the next several years sailing the Mediterranean. In 2017, Jade was given a major refit. She was given a contemporary look with muted colors. A few vestiges of the bright décor of her Hawaiian days can be found but not many. Her layout is similar to her Jewel class sisters, especially Norwegian Jewel. Thus, Norwegian Jade is very much in the mainstream of Norwegian's Freestyle Cruising. She offers a diverse array of dining venues to choose from each night. Accommodations range from luxury suites to more economical inside cabins. Her lifestyle is casual but active. The Jewel class ships have good nautical qualities. They are powerful, fast and maneuverable. 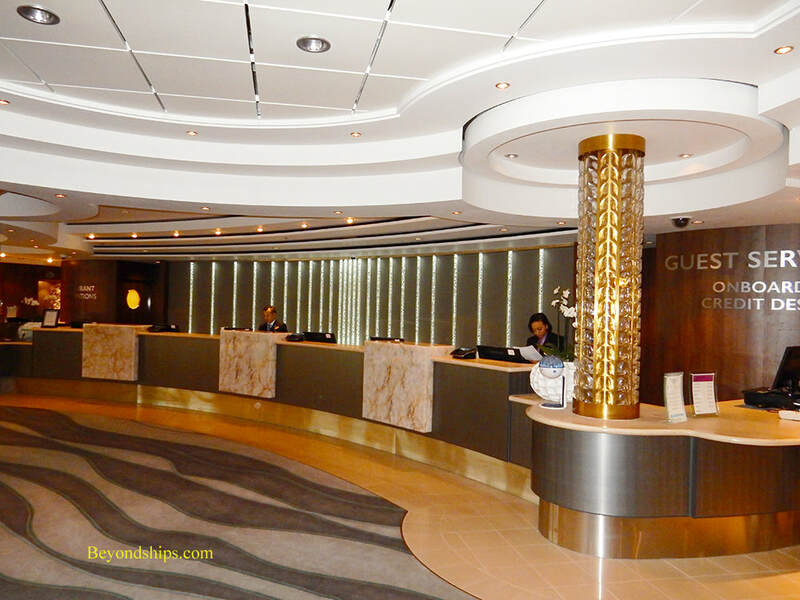 Built by Germany's Meyer Werft, there has been good attention to quality and detail. Most of Jade' art collection is located on the staircases. 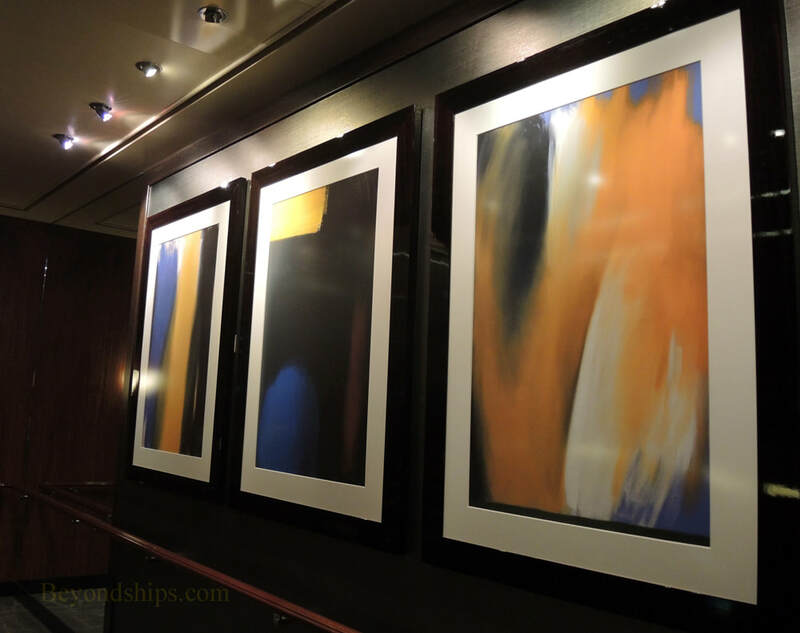 They are abstract pieces with muted colors. Traces of the past - The Jade's builder's plate just off the main lobby carries her original name (above left). 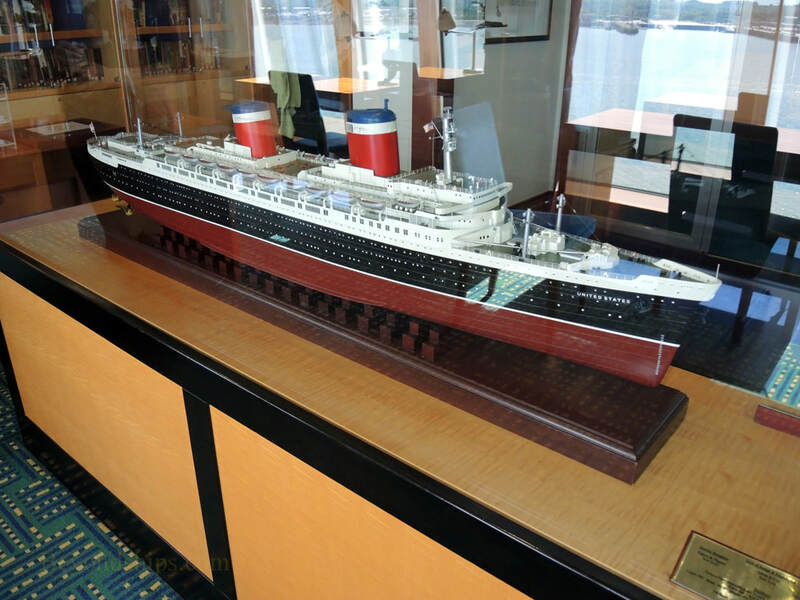 A model of the SS United States in the Library as well as various photos of that ship recall the fact that Norwegian purchased that great ocean liner with the hope of bringing her back into service as part of NCL America along with Pride of Hawaii. The Guest Relations Desk in the Atrium (above). Also in the Atrium is The Shore Excursions Desk (below). 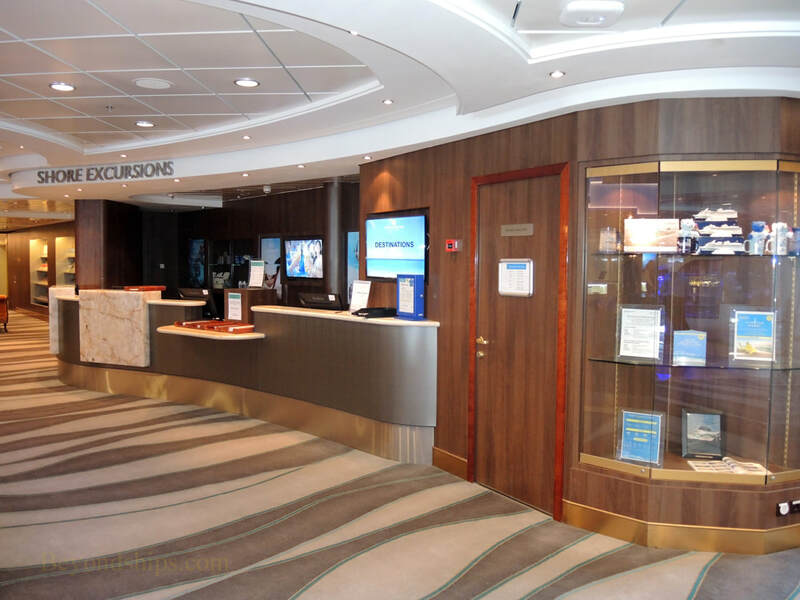 The Cruise Next Consultants' office is by the fnear end of the Shore Excursions Desk.